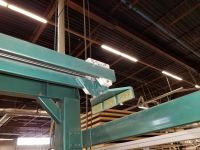 The ON-3 in stacker configuration lifts flush or panel doors off of a roll table and places them on a door stack. 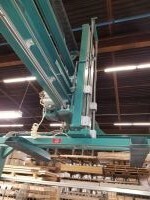 Lifting capacity is 200 lbs. 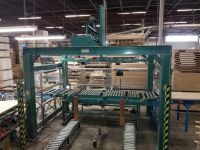 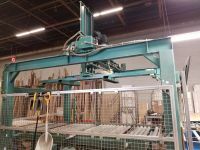 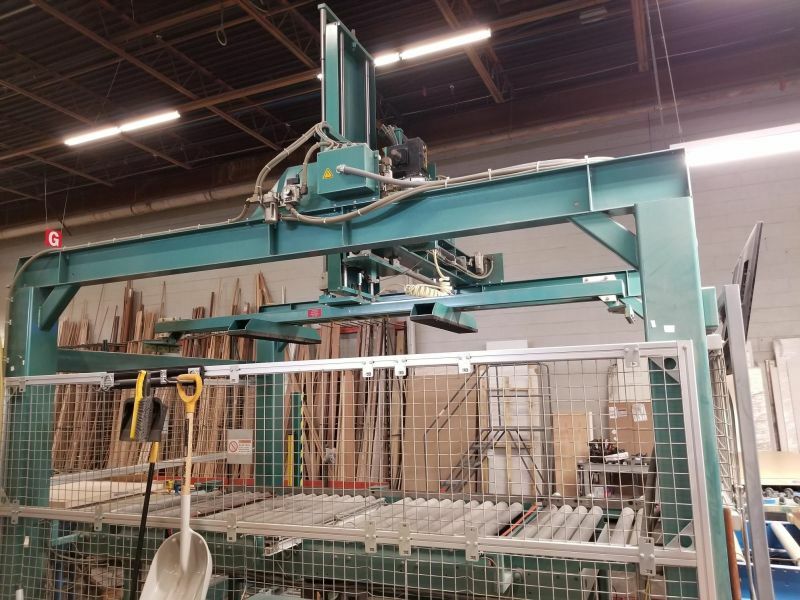 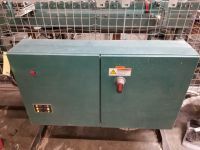 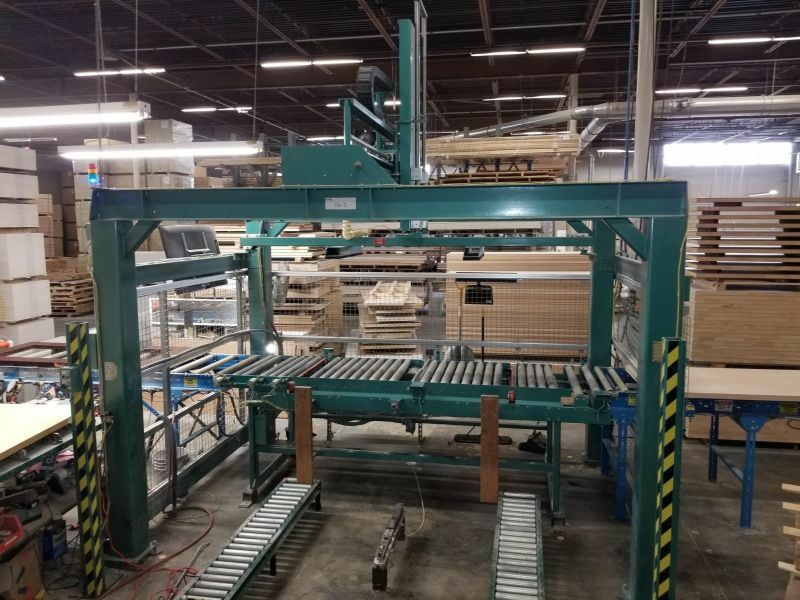 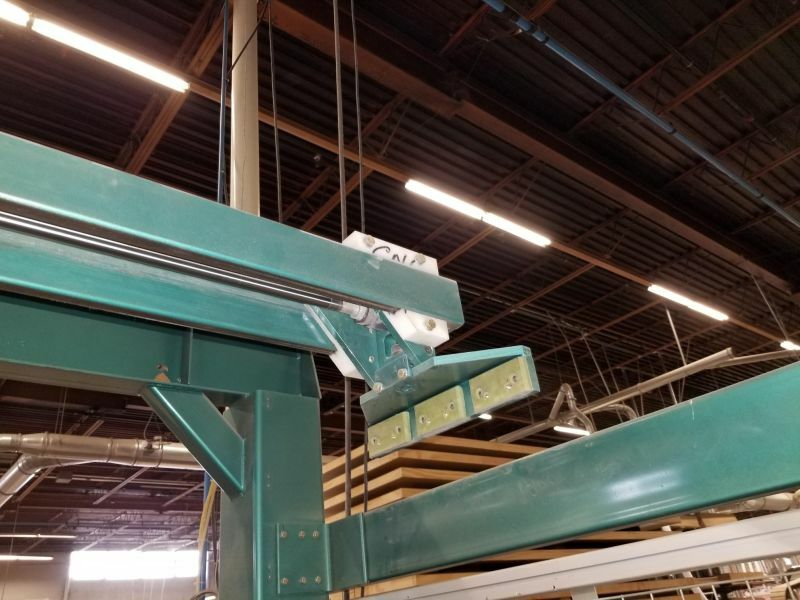 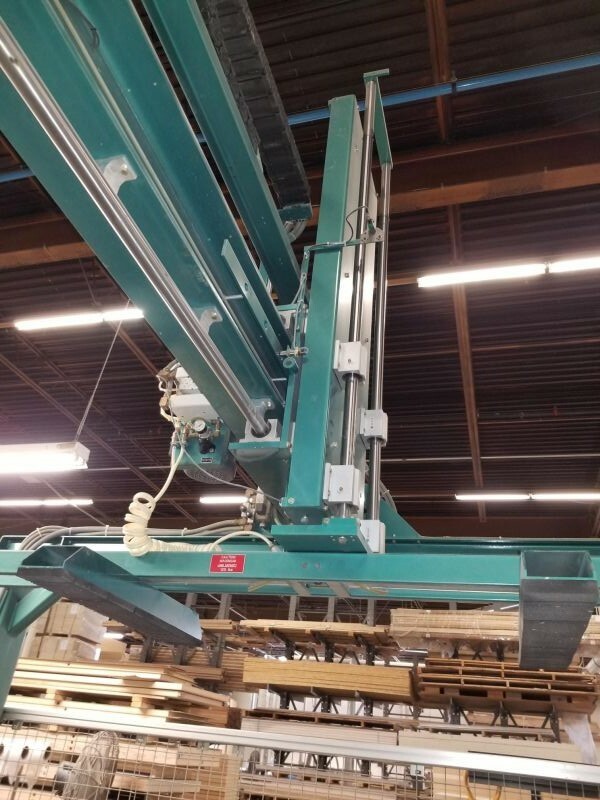 Door is received from the machinery line, lifted and held by air pressure clamps and cylinders from both ends of the door, or by vacuum cups, then moved automatically on an overhead track system to be lowered onto a stack of doors. Cycle time is 20 seconds.